A non-oily intense hydration treatment for silky smooth skin. 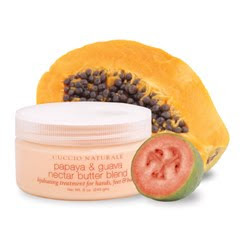 Revitalizes the skin with "papain" , the natural enzyme found in papaya and powerful anti-oxidants from guava nectar. Together, this blend gives radiance while infusing the skin with maximum hydration.